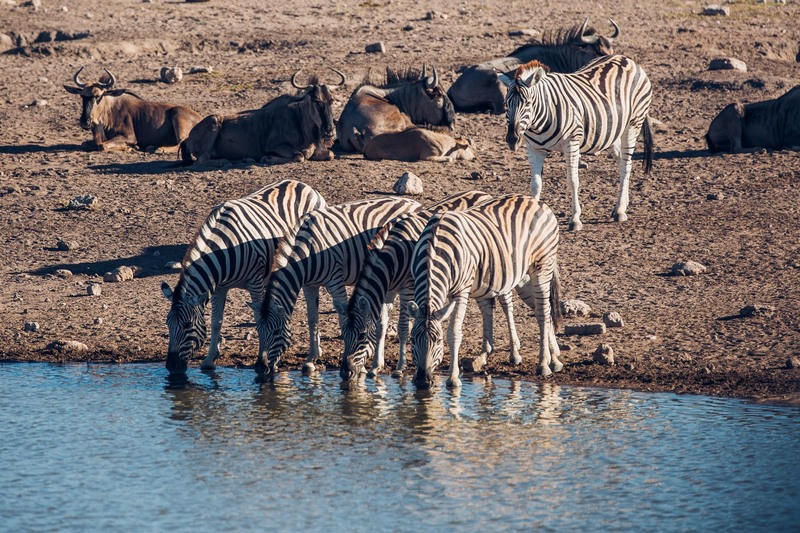 While planning our trip to Namibia we had actually considered skipping Etosha National Park. 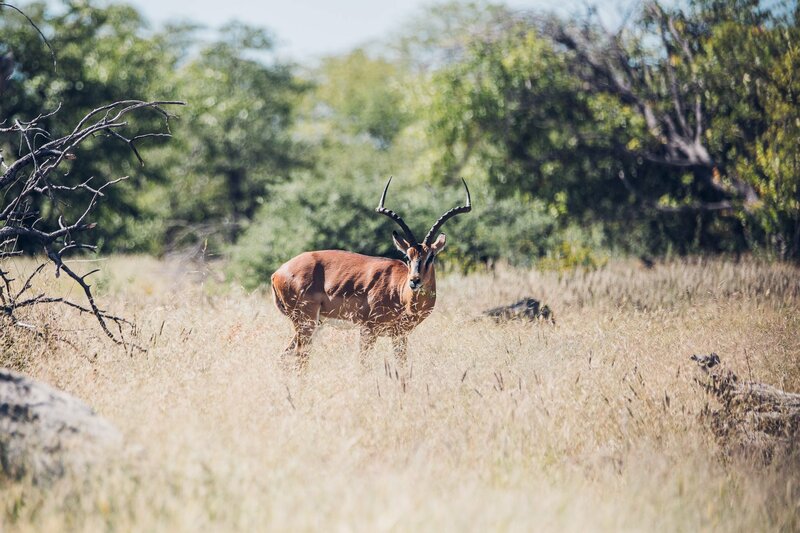 This had a lot to do with our one week stay at Erindi (read more about our visit of the private reserve here). We thought that this one week would be sufficient when it comes to wildlife and safari experiences. 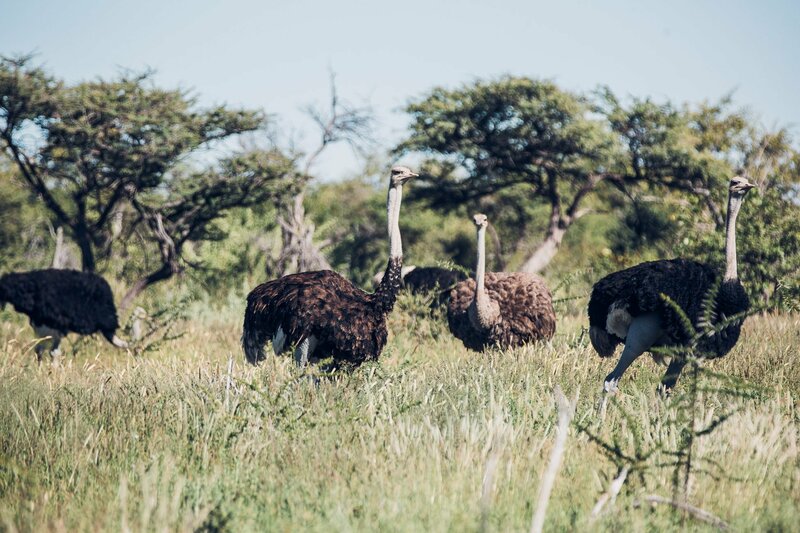 But during our stay at Erindi everyone recommended to also pay Etosha a visit for it’s very different landscapes (the salt pan) and to also experience a self-drive safari as opposed to the guided game drives at Erindi. 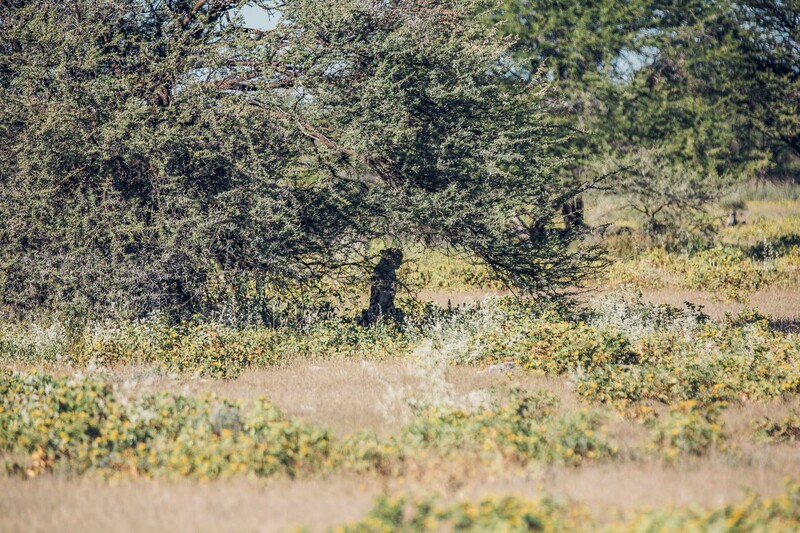 These are common sights in Etosha… but you won’t be able to spot the Big 5 easily. We had planned our Namibia trip loosely based on an anti-clockwise roundtrip starting after our week at Erindi. 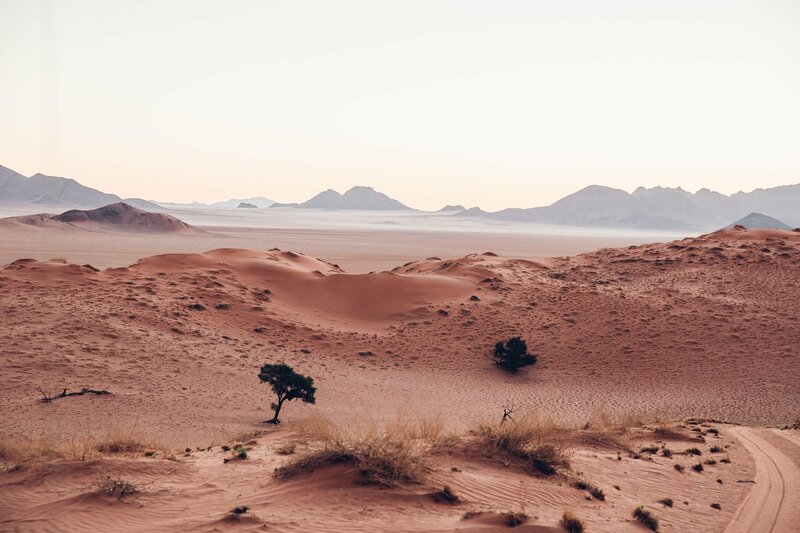 Our driver from Erindi brought us to Windhoek where we picked up our 4×4 and from here on we traveled to Spitzkoppe, Swakopmund, Sossusvlei and the Wolwedans Dune Camp at NamibRand. 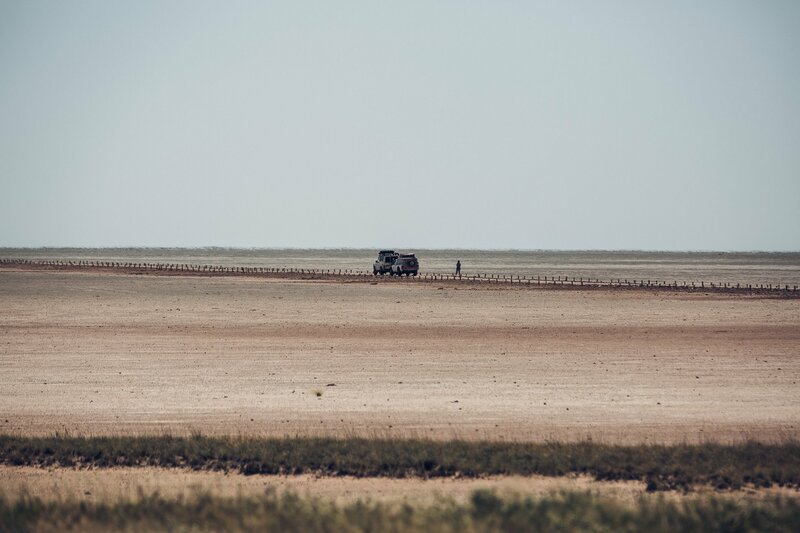 This is when we had to decide to either go further South to visit the famous sand-covered town of Kolmanskop or head back to the North for a visit of Etosha. This was the route we had planned for the first part of our roundtrip through Namibia. 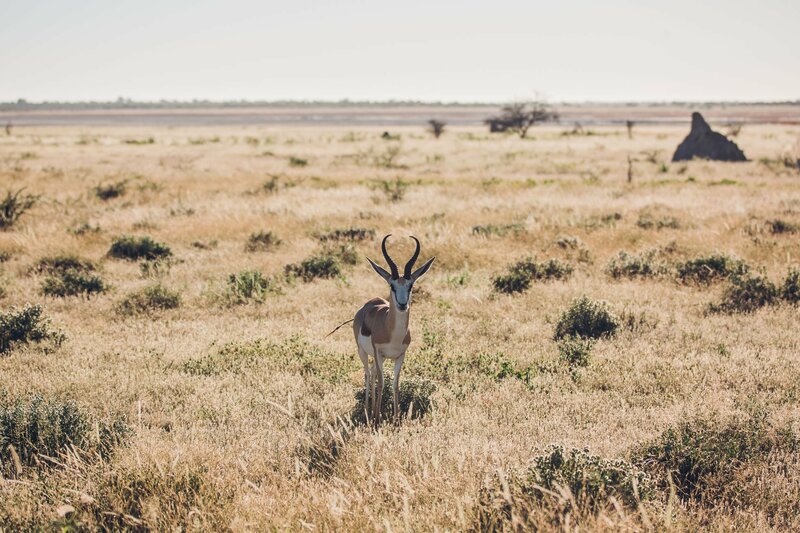 Since Kolmanskop is located quite far out to the South and we hadn’t planned on hiking the Fishriver Canyon (which would be a good reason to travel so far to the South in Namibia), we opted to return back to the North instead to at least catch a glimpse of Etosha. 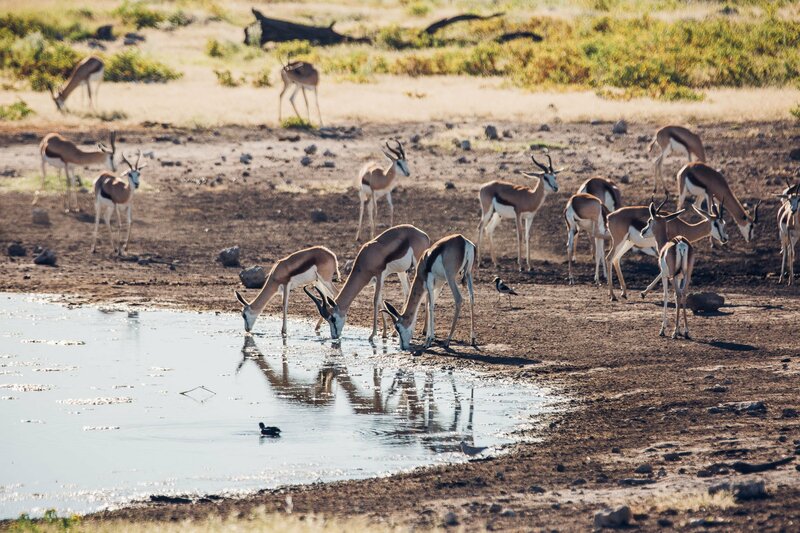 We didn’t regret it, but we are also not convinced that Etosha is the best safari experience one could have in Namibia. The NamibRand was the furthest South we went in Namibia. When visiting Etosha it’s important to bear in mind the sheer size of the National Park. It’s larger than Paris, Berlin and Vienna combined. So there’s no way to visit Etosha in a day. Yet we only had two nights (equaling one full day) to spare up in the National Park. This means it was necessary for us to make decisions on where to stay in Etosha. The two main gates of Etosha are located over 140 kilometres apart. 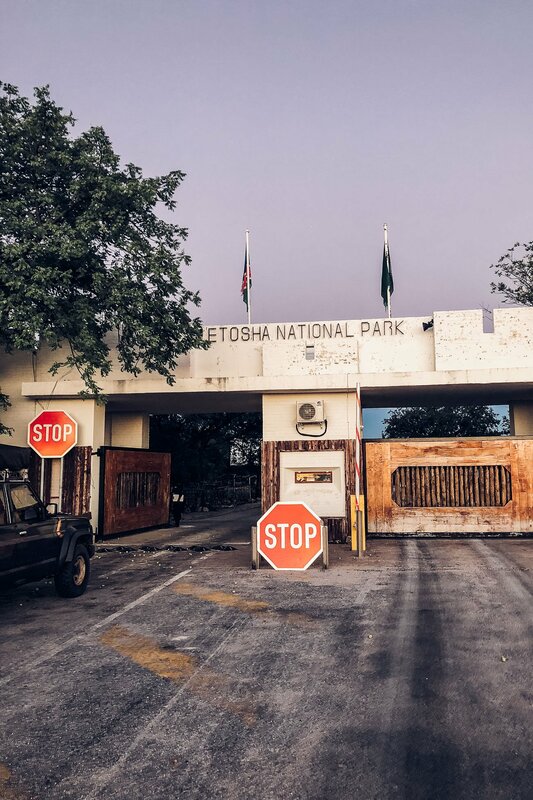 The Etosha National Park has four gates, through which you can enter. The two main gates are Anderson’s Gate in the South and the Von Lindequist Gate in the East. The western entrance at Galton Gate and the Northeastern entrance at King Nehale Gate are a little less frequented, because they are harder to reach when coming from Windhoek (where most visitors come from). Our entrance to Etosha: The Von Lindequist Gate (also called Namutoni Gate). 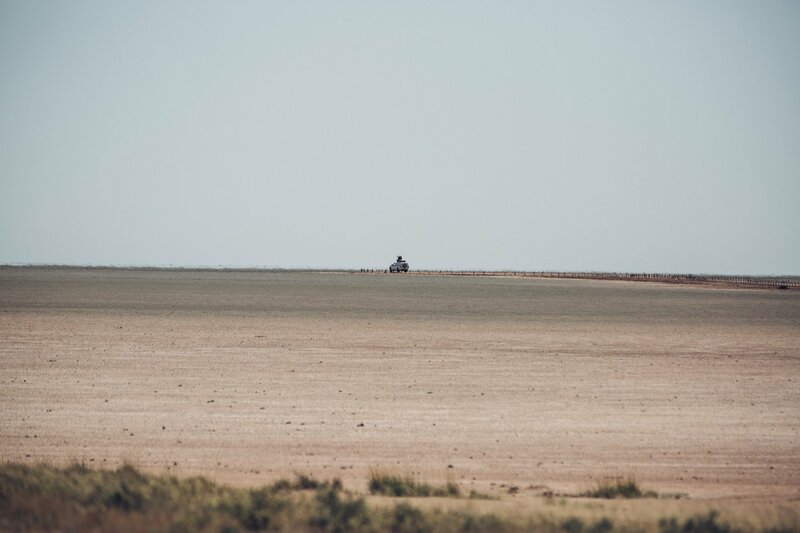 We decided to stay in the East as this brought us closer to the famous Salt Pan, which actually gave Etosha it’s name (Etosha meaning “Great White Place”). This completely former lakebed is now a 120-kilometer-long stretch of white nothingness. And no, you are not allowed to drive on it (except for a short path to a lookout-spot, that is built into the pan). This path leads to the so called “Etosha Lookout Spot”. But you’ll basically see vast nothingness. As we decided for our Etosha trip on a rather short notice we had to stay outside of the gates of the park. The camps within the National Park are booked out long in advance as most visitors want to be as close to the wildlife as possible. 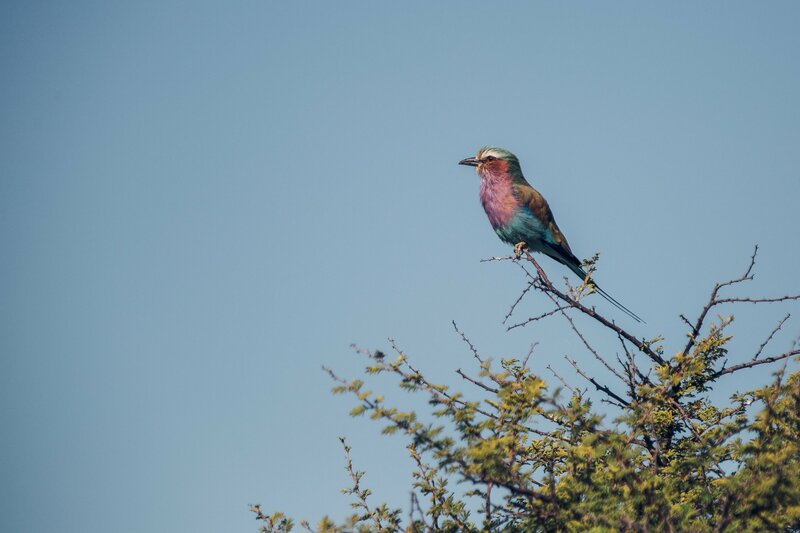 We decided to stay at the Mokuti Etosha Lodge due to it’s extremely close proximity to the Von Lindequist Gate in the East of the Park. And with proximity we mean it’s 4 minutes from the hotel entrance to the National Park Gate – it doesn’t get closer than this. 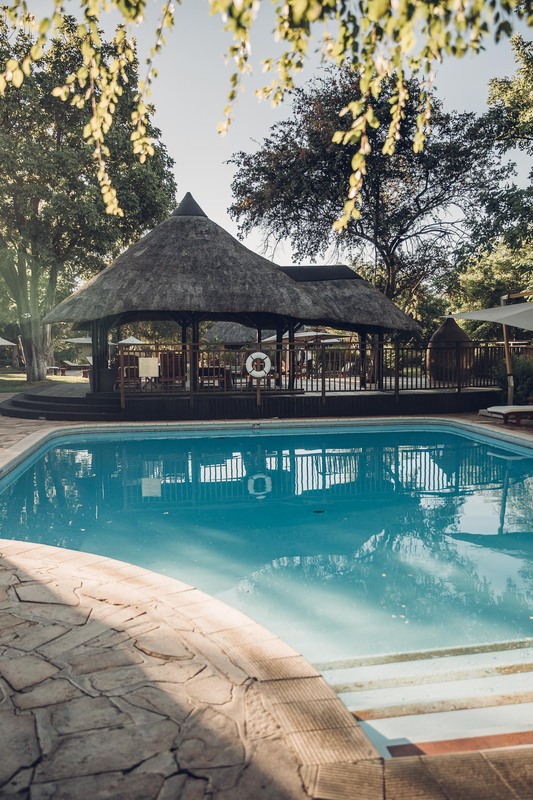 The Mokuti Etosha Lodge offers close proximity to the eastern gate of Etosha National Park. Staying outside of the gates means we were only allowed to enter at sunrise and forced to leave before sunset (as this is when the gates close). Next time we would definitely opt to stay inside the gates, so we wouldn’t have to miss these times. Animals tend to sleep and hide during the mid day hours (exceptions being gatherings at waterholes). So it’s harder to spot wildlife when you can’t use the early or late hours of the day. One of the rare sightings we had in bright daylight. You need to know that – even if you stay inside the park – you’re not allowed to drive around in the darkness. But you probably won’t need to drive around when you stay inside the National Park. 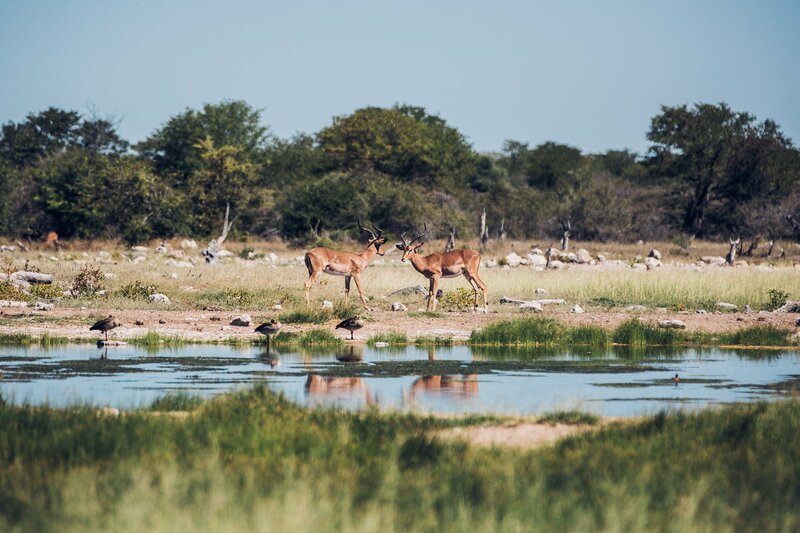 This way you can see animals directly at the waterholes of the camps. 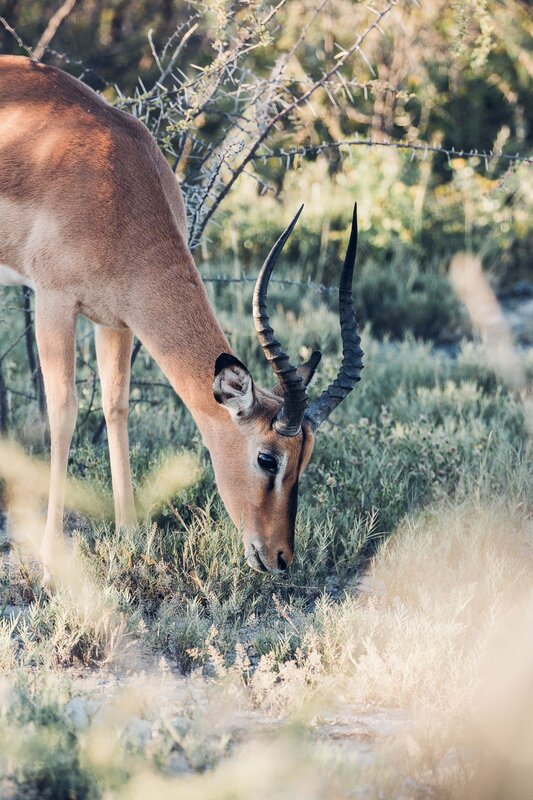 Mokuti Etosha Lodge doesn’t have a waterhole, but some “pet animals” as compensation. But even if you decide to take your car out in the early morning you will gain at least 30-45 minutes. We still had to enter through the gates. And although we were the second car at the gate it took us seemingly forever until they opened (which was not exactly at sunrise) and we passed after filling out the forms and pay the entrance fee. Those can be the crucial minutes to see wildlife – so we were kind of bummed. And then it was even harder to leave before sunset when all the animals started assembling at the waterhole. Later in the afternoon animals start gathering at the waterholes. If you want to stay inside the gates the only options are the 5 state run NWR camps (Okaukuejo, Halali, Namutoni, Dolomite or Onkoshi), which you’ll have to book early on. 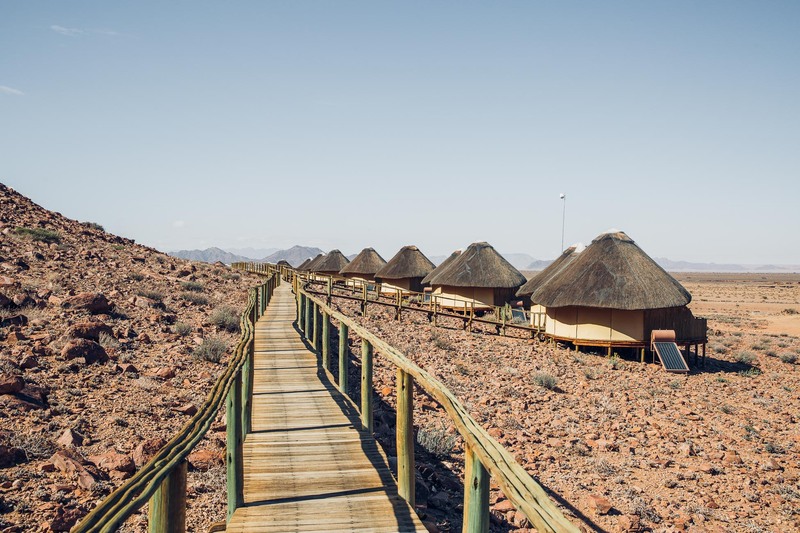 Now I can’t vouch for the quality of these camps as we didn’t stay there, but we tested another NWR run camp at Sossusvlei and had quite a nice experience. State run NWR lodges can look as nice as this one at Sossusvlei. Stay in private or NWR state camps? The difference between privately run and the NWR state run camps is definitely in service quality and food. 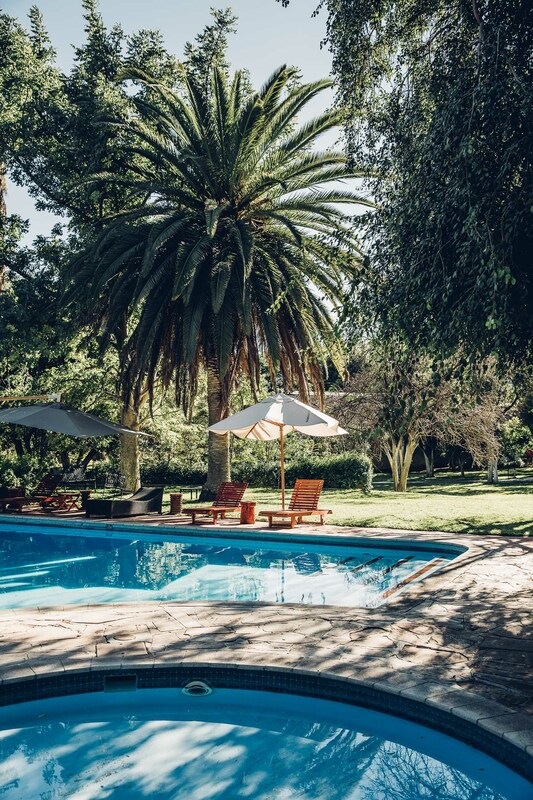 While the NWR camps can offer equal space and architectural features as private resorts, the service is generally reduced in those camps. Obviously you won’t expect room service or a turn-down service in a national park camp, but there will probably also be limited options when it comes to food and maybe no reception desk or luggage service to your room. At Mokuti Etosha Lodge we checked in at a 24h reception desk and then got escorted to our room in a golf cart with all our luggage. This makes the difference in a private lodge! 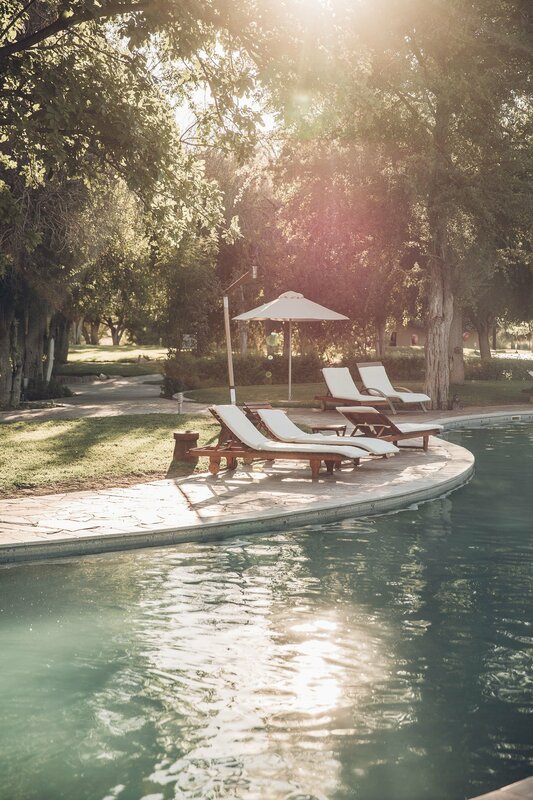 Private lodges offer more luxury and service than the state run camps. The prices don’t make that much of a difference though – the NWR camps have similar rates to the hotels. In the end you pay for the location at the NWR camps. 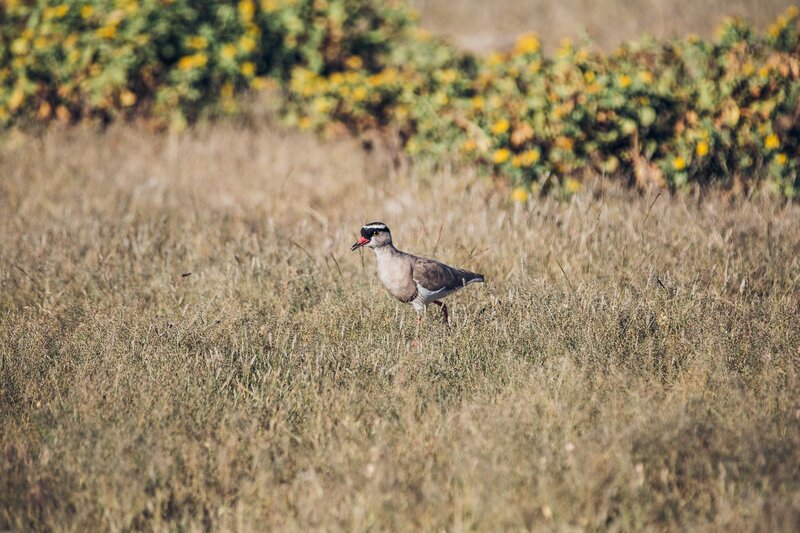 But in our view location is essential when it comes to wildlife viewing! 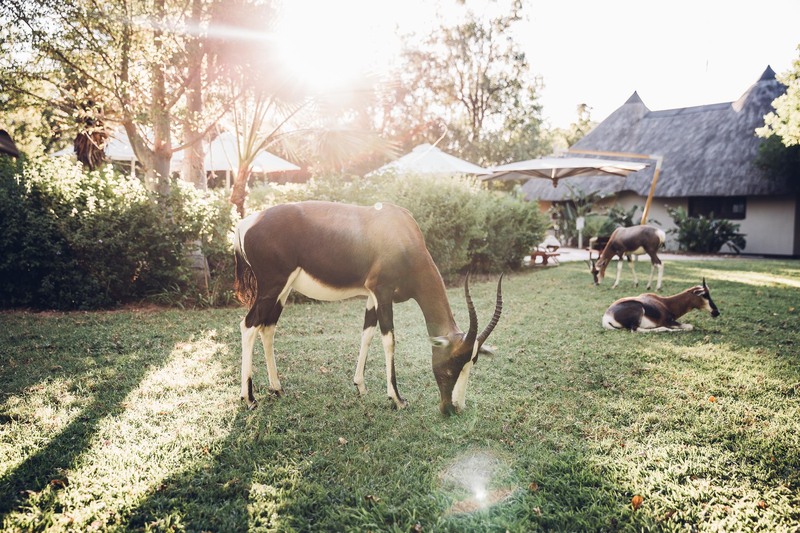 You want to be close to where the wildlife is when it comes to a Safari! 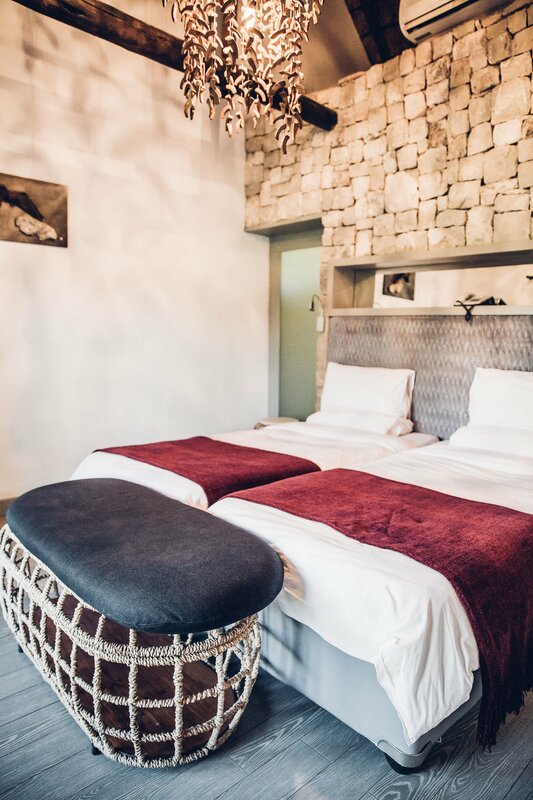 Pro Tip: Combine your visit with a few nights inside the park in a state run camp and then a few nights outside Etosha for some pampering and luxury! 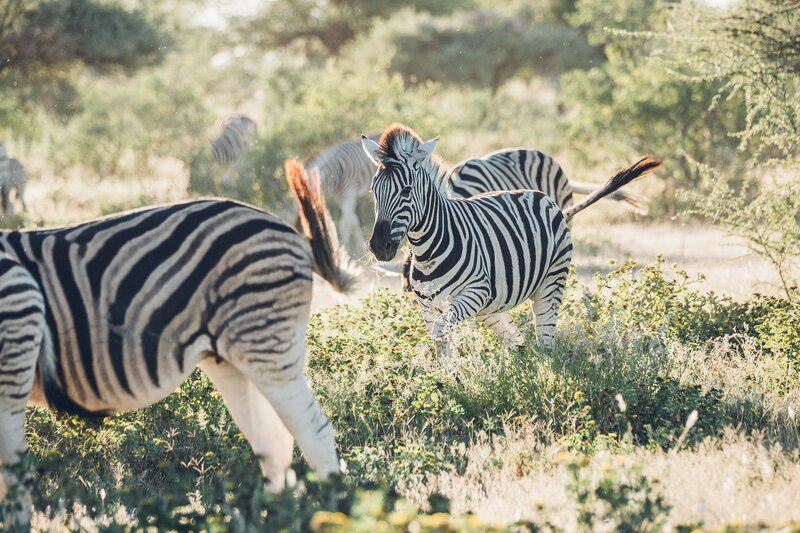 So here comes the verdict: This is why you want to visit Etosha in the end – to experience the wildlife of Namibia up close from your own vehicle. Upon entering the Von Lindquist Gate in the East we passed by the NWR camp and then after two turns saw the first herd of Zebras and antelopes. 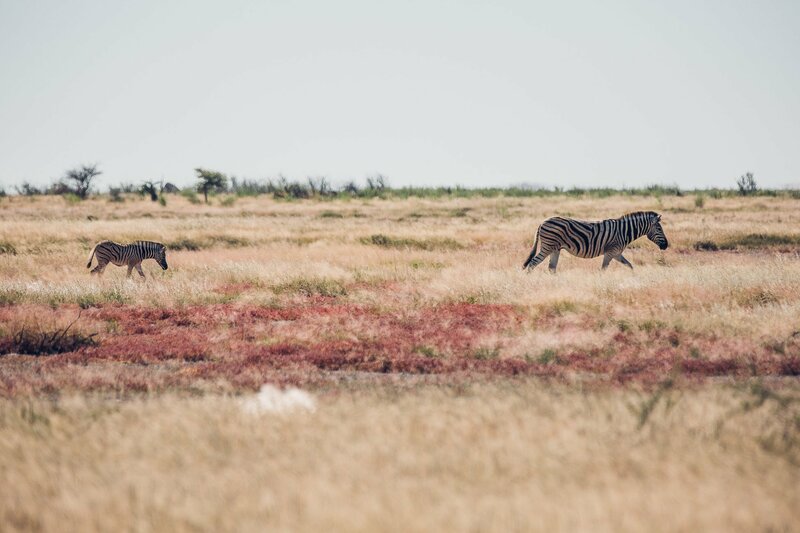 Zebras casually cross the street at Etosha. Even after that whole week in Erindi we still got excited by those encounters. 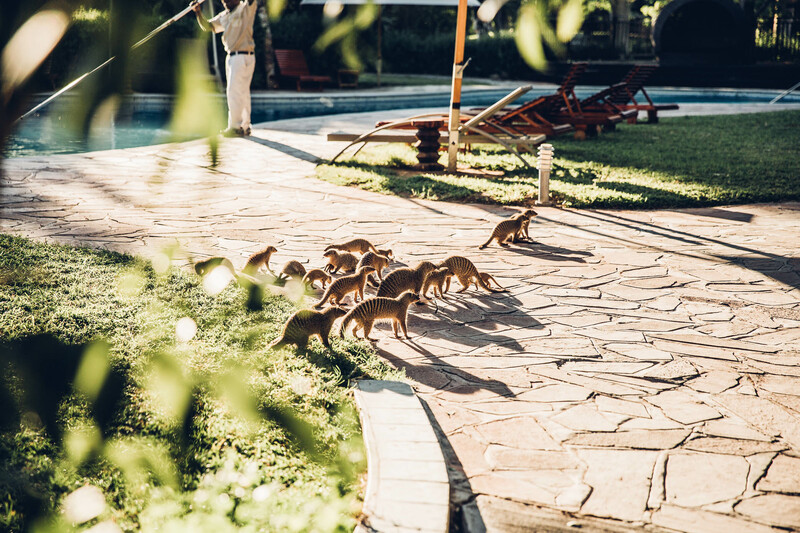 Seeing wild animals roam freely is an experience that I fail to put into words – it’s mind-easing to say the least. Little did we know that we wouldn’t see much else for the rest of the day until sunset would come closer. Ostriches and other birds were the only animals we saw during the mid-day sun. 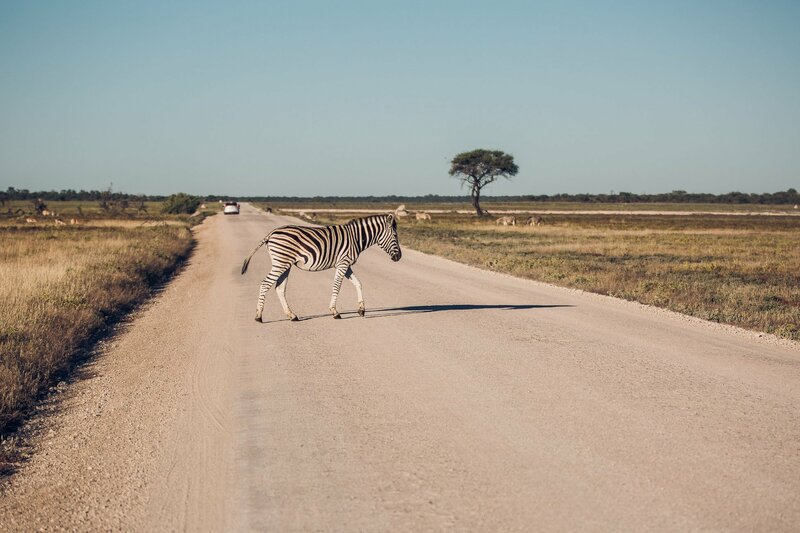 There aren’t many roads that one can take in Etosha, so it’s easy to navigate (also without buying a map). 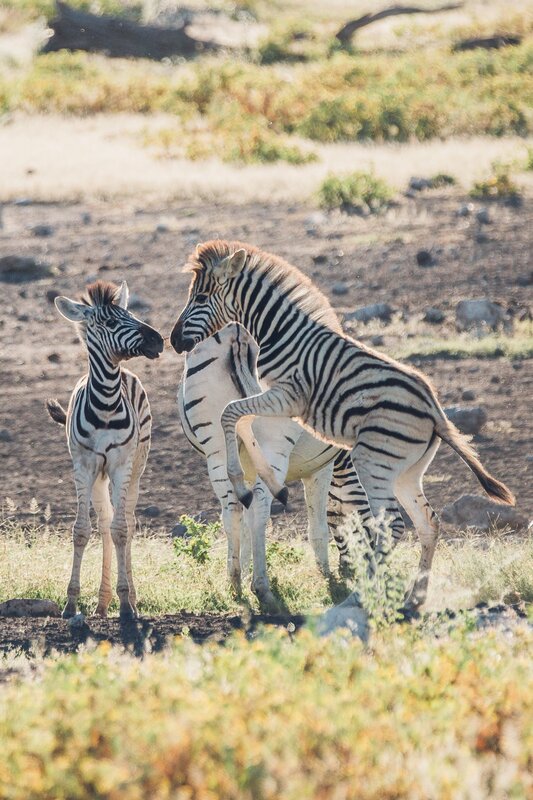 We managed to drive all the way to the “Etosha Pan Lookout” spot – which is about 70 kilometres West of the Von Lindequist Gate. The Etosha Pan Lookout – a small path into the salt pan. This is where we turned around and started making our way back. We would take turns at every sign pointing us to a waterhole, but didn’t get to see much. We even had enough time to visit certain waterholes twice during the day to see if something had changed. 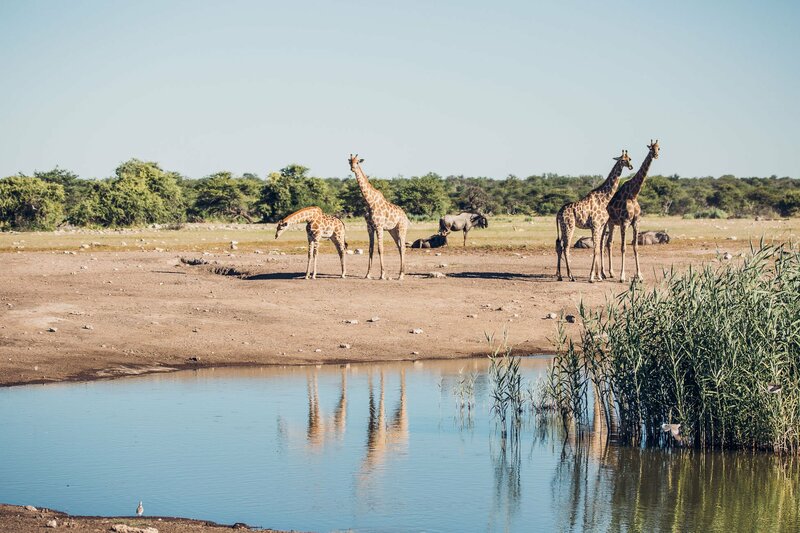 On the second visit at the waterhole close to Namutoni we got lucky and saw a gathering of giraffes, wildebeest and giraffes – all drinking and relaxing side by side. Waterholes are the best spots to wait for animals. Sometimes we would sit in the car for an hour waiting for wildlife to come. When we stumbled upon three cars parking roadside we drove closer and asked them what they were seeing – as we couldn’t make out anything in the bushes. They said that they had spotted a cheetah in one of the bushes. Now here’s where Etosha disappoints. Not only is there no way to come closer to the animal (as opposed to Erindi, where guides are allowed to drive off-road), after a few minutes this sighting attracted more and more cars. At some point there were at least 10 cars surrounding that one cheetah in the bushes – of whom we saw merely more than a shadow once in a while. So if you want to see wild cats and other more elusive animals, Etosha is probably not the right place for you. 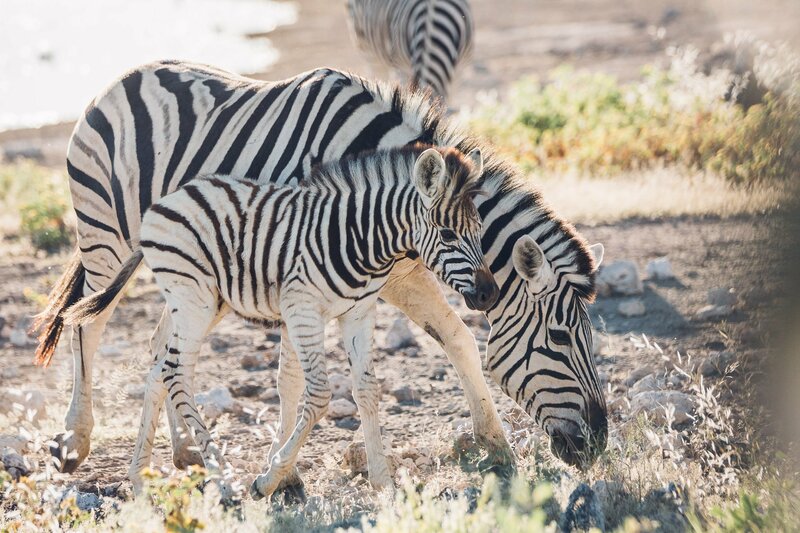 We would deem Etosha a beginner’s place for a safari – to get a first taste and see some of the animals, that are easy to spot. But then you’ll have to move on to a more profound safari experience – which only comes with an expert guide (and all his knowledge). 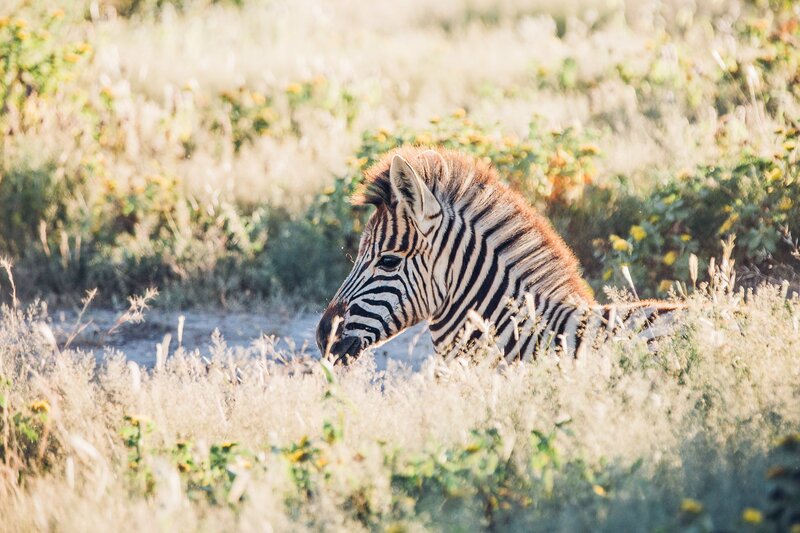 It’s easy to spot zebras, giraffes and antelopes in Etosha. But other elusive animals – such as cats – are harder to find! 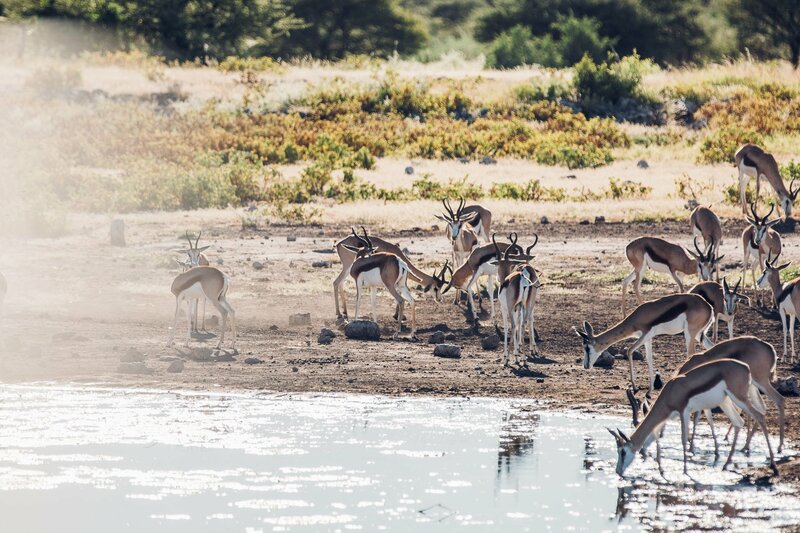 Our favourite moment at Etosha came late in the afternoon at the “Koinachas” waterhole. 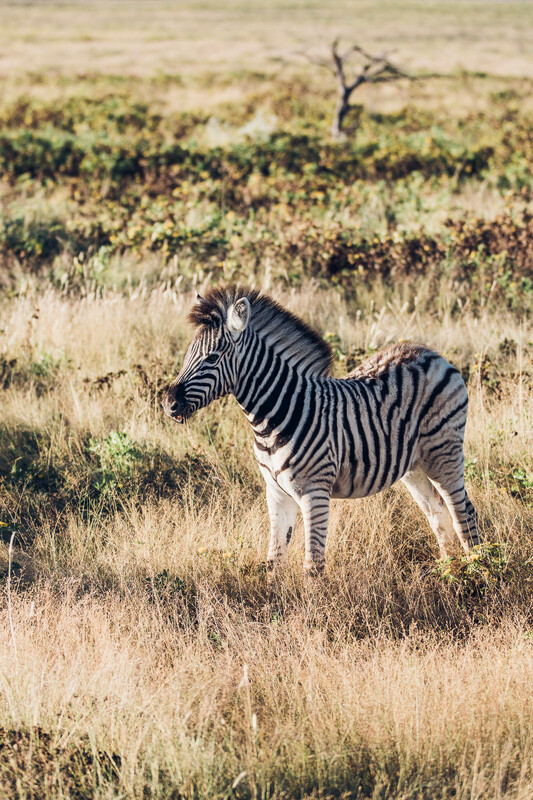 We were completely alone when a herd of zebras came closer with two little ones playfully fighting and jumping around. 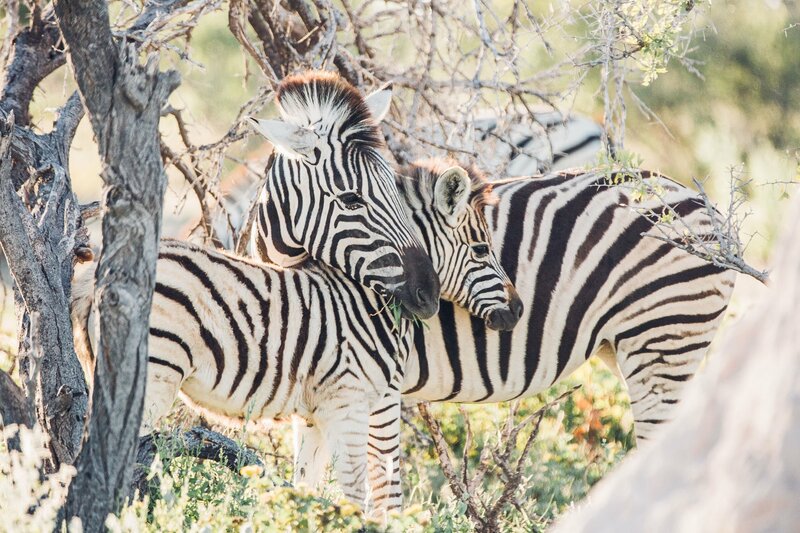 This is when we made peace with our visit of Etosha – it had paid off in the end! 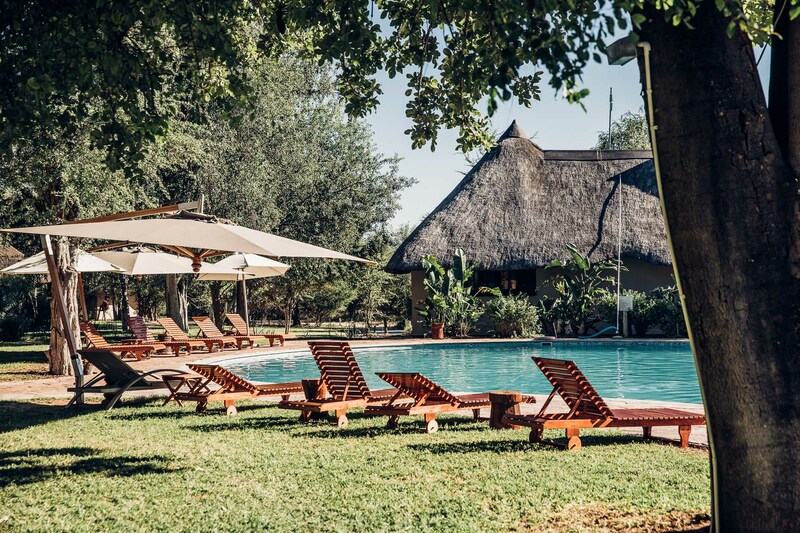 Disclaimer: We were invited to stay at Mokuti Etosha Lodge for a complimentary press stay, but our views stay independent from that invitation.